Discussion in 'Wanted' started by Vinylelpea, Jan 25, 2018. Looking for spare parts supplier in Australia for Hornsby Lima Bachmann etc. 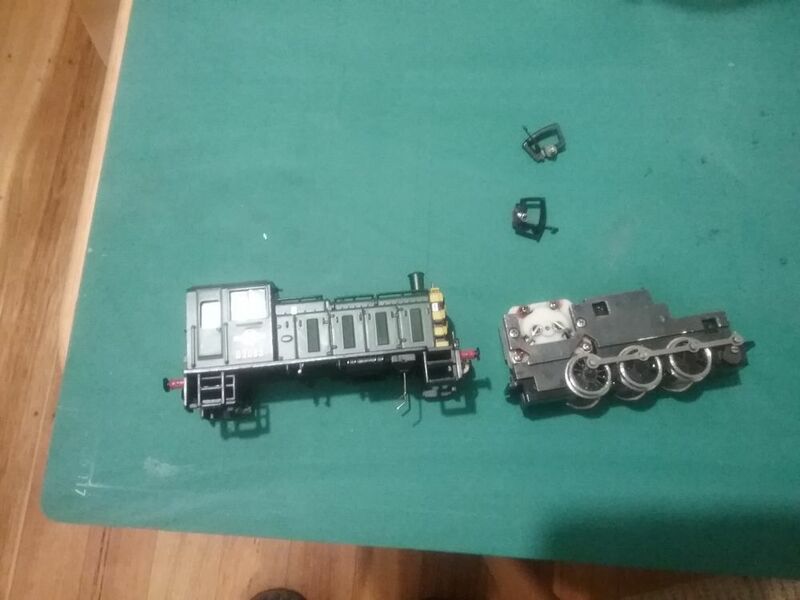 At the moment I'm after carbon brushes for Bachmann 03 shunter. Mainline/early Bachmann brushes (and a lot of spares) can be very difficult to find locally. Often the only way to do it locally is to take the old parts in and ask the sales person what is "behind the counter" as they won't be hanging up they may be in little drawers out of sight, because they are so small and fairly unsightly. And possibly they have been in shop for longer than the sales person by a long way. Brunel down in Cheltenham and Hearnes in town have been there for a while and might be worth checking out, might as well do Trainworld in Brighton while you're going to Brunel. Iron-Horse Hobbies does not have anything on his eBay store for them, but he might be worth a message. The Tyco brushes will not fit. He does have Hornby brushes though. There's another place in FNQ on eBay, quite good to deal with, but he mostly has Hornby. For your shunter Peters Spares, on eBay, based in GB has reproduction Bachmann/Mainline brushes. Don't know how good they are, had bad experiences with power tools and non-factory brushes, but these might be ok. They have lots of parts and postage is surprisingly quick. They might sell the Lima brushes. Mostly I have got Lima parts NOS second hand, they are getting hard, but not impossible to find. I have bought spares from BR Lines he does spares for Bachmann & Graham Farish just type in BR Lines and should come up with his web page. Hope this helps. He sells for other gauges as well give him a try not sure what shipping postage is to Australia though..
Have just found 2 shops in Australia that sell Hornby and Bachmann one is RC World the other the Little Train Shop one is based in Victoria not sure about the other. Hope you find what you need. If you order from Peters Spares, it will end up costing you around $20.00. Ironhorse (above) has them for $10.00 and free post. I'll second that. Order from Peters Spares and the postage to Australia will double the cost of your purchase - ‎£7.25 for posting a small pack of traction tyres for example. By a strange coincidence, I just ordered 4 sets of traction tyres from Ironhorse Hobbies a couple of hours ago. I have dealt with them before and have no complaints.